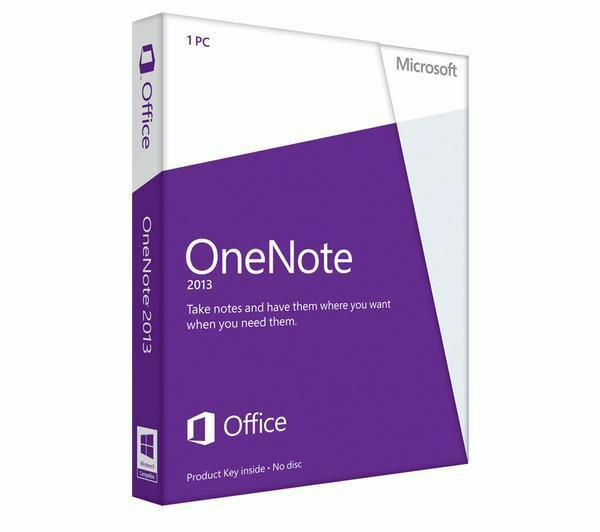 With Microsoft OneNote 2013 you can transform your tablet device into a fast and powerful note taker, enjoy text, audio, video and web clippings in one handy digital notebook. Keep your information close at hand and enjoy easy access to your documents and notes. 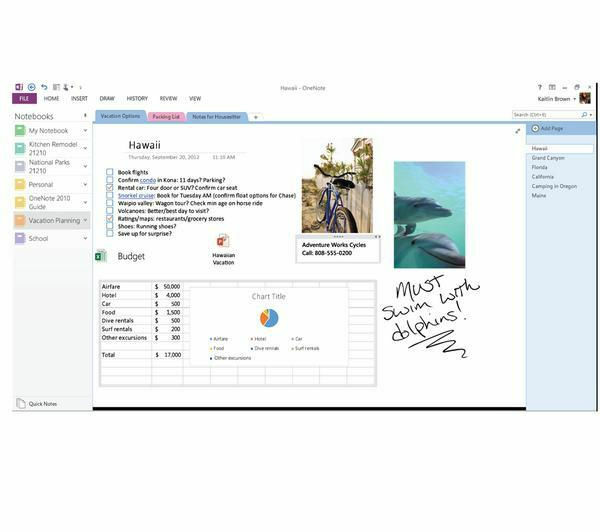 With OneNote you can create notes, make sketches, record lectures and even link them to presentations and other media files. With a few simple clicks you can embed files and insert content into your existing notes, so all your info is there. The handy Inking feature gives you the freedom to take notes your way. Create with your finger, stylus or mouse and OneNote will convert your handwritten content into digital text. You can now seamlessly create and navigate around tables and charts. With the touch of a finger you are able to move rows, columns and more. You can even convert your sophisticated table into an Excel document – all your calculations are taken care of. 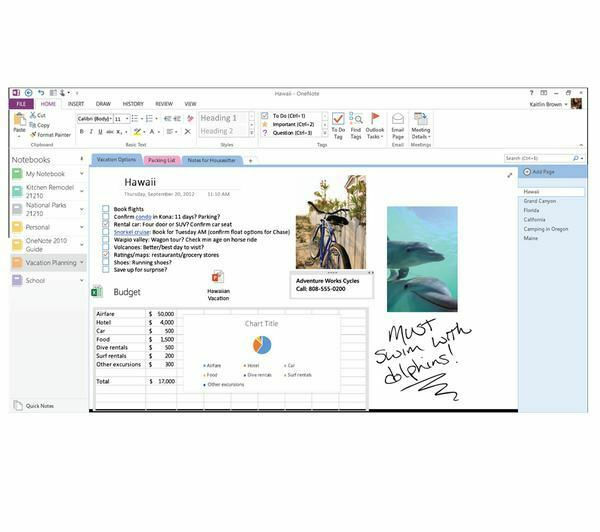 You'll never have trouble accessing your files through Microsoft OneNote. With cloud storage you can save content to a SkyDrive account to view, edit and share notes effortlessly. Access your information across other devices and keep it in sync thanks to the OneNote apps. Enjoy a seamless experience with your Windows PC, smartphone, iPad, Android device and more – making it easier on the move. 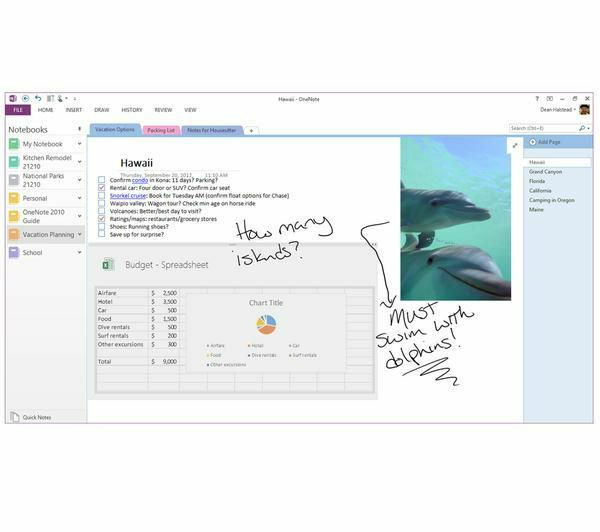 You can also use the intelligent note taking software to work together with others. With integrated identity profiles you can easily recognise those you are working with. Take it into the office and join online meetings and share files – the office is in your hands. 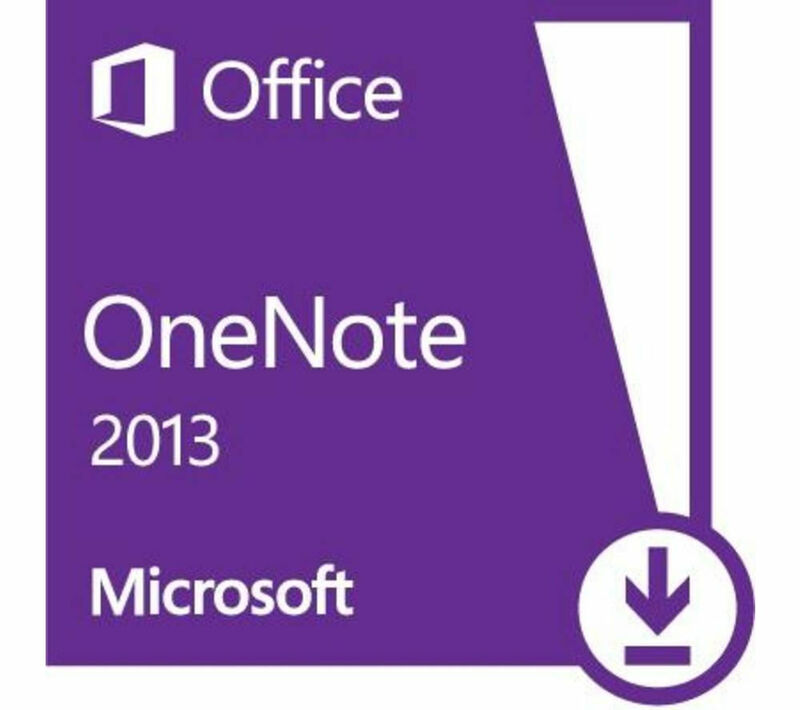 Microsoft OneNote 2013 is designed with a clean-cut interface for supreme usability. Not for use in any commercial, nonprofit or revenue generating activities, or by any government organization.